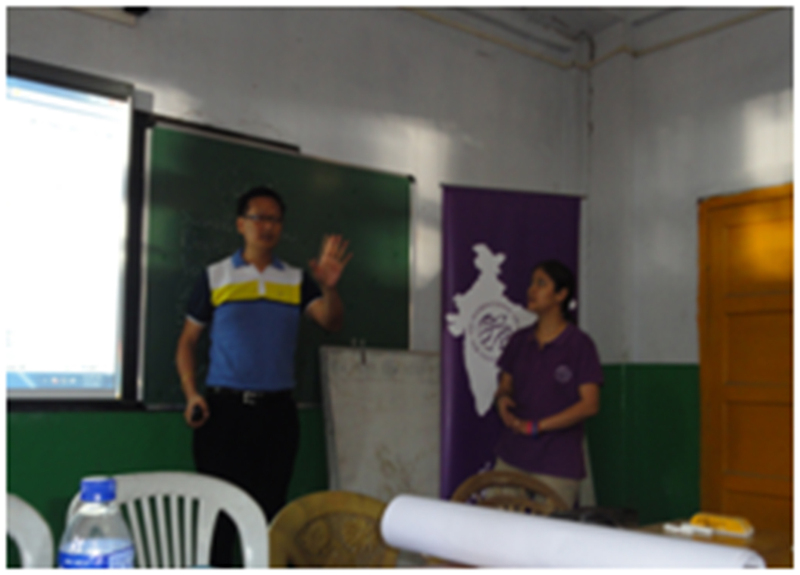 Mrs. Ranjana Rai, Member, National Training Panel and Manager, YES AVS conducted two days orientation programme and workshop at the Livingstone Foundation Higher Secondary School, Dimapur. Students attended the workshop with great enthusiasm and even gathered courage to ask her if she herself practices what she preaches and lives the award? And that, what difference could the award make in their lives? The answer was but obvious with rhetoric phrase, “nothing is small or big, it is the small efforts that bring positivity and change within you, the environment, then your community, society and finally the country.” The Idea of sharing the young talents of Nagaland was becoming a dream come true with the International Award for Young People outreaching the programme to every corner, for the people who have been longing to enrol for similar programmes. The staff of the school was introduced to the programme and the Principal and Chairman, Mr. Andrew Ahoto gave his full support to this endeavour. LFHSS begins the IAYP programme this month in its effort to Create Committed Citizen of India. Following Mr. Ahoto’s initiative to introduce IAYP in the school, LFHSS has become a YES Centre in Nagaland and It has joined hands with The Assam Valley School in its effort to build the Youth in the North East of India. All the best LFHSS! Well Done Dinesh! Keep up the good work. 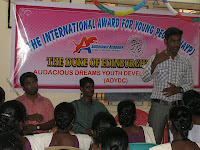 Dinesh Gajendran, Gold Holder and member National Training Panel received an invitation to be a Panel speaker in Global Citizens Youth Assembly 2012, Bangalore. The gathering will have f youth activists from all around the world including the participants from USA, China, Taiwan, Kuwait, Australia, United Kingdom, South Korea and India. 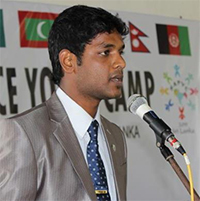 Dinesh will deliver a lecture on Community Development & Livelihoods. Our Adventures Journey for Bronze Level started on 4th August with leaving for the Balasore station. We all were smiling & looking forward to an exciting journey. After reaching Balasore, we rode on the trekkers and reached Panchalingeshwar by approx 1:30 pm in the afternoon. After reaching there we all had lunch and then rested for some time. In the evening we all went for rock climbing. Our instructor showed us various types of holds & gaps. After the briefing we got opportunity to climb two kinds of rocks, one bending at 30 Degree and another at 70 degree approx. It was an interesting and adventurous activity. The next day we got up early in the morning and went for jogging and did some warm up exercises. After the breakfast we were prepare for exploring the villages nearby. We trekked for almost 3 km area. The scenery was very beautiful. After exploring and trekking, we rested for sometime and went for offering our prayers in Panchalinghesar temple. 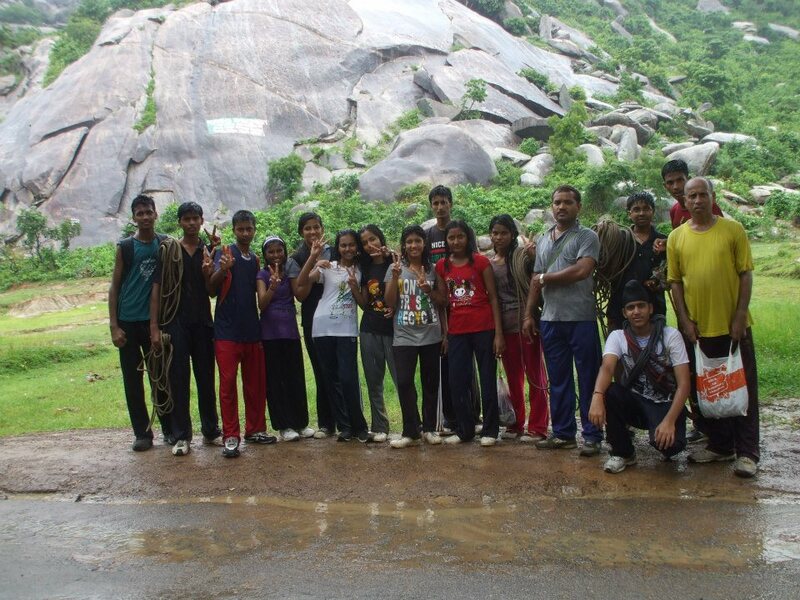 After visiting the temple, we went for rock climbing and rappelling. This activity was very adventurous and was full of fun. After coming back we had our lunch and rested. 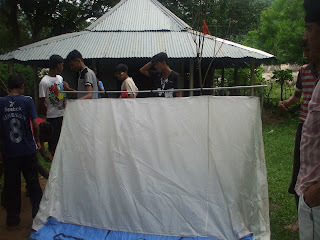 In the evening our instructors taught us about putting up a tent. We also learned about it's technical parts. We were also taught to tie various kinds of knots which is a very skillfull technique. After we came back to the rest house, we had a learning session with our instructors. On the last day we packed our bags early in the morning and were ready to go back home, yet feeling like "going from home". The days spent at Panhalingeshwar were full adventure and fun. When we come here, we only had our luggage but we carried a lot of experience and knowledge back with us. YES Training workshop YES Training workshop will be organised on 25th and 26th August 2012 at India International Centre (Annexe Building), Committee Room No.1 Lodhi Estate, New Delhi. Award leaders from the Assam Valley School, Tejpur; St. Mary's School, Dwarka, New Delhi; Pathways School, Noida; and Woodstock School, Mussoorie, Gold Award Holder and volunteers will participate in the workshop. 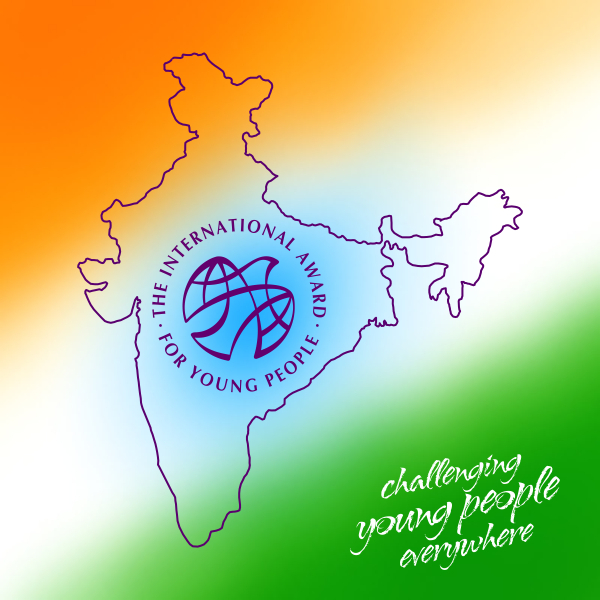 IAYP India @ Social Networks - New LinksCheck the new links to the Social Networks for latest updates at Award. 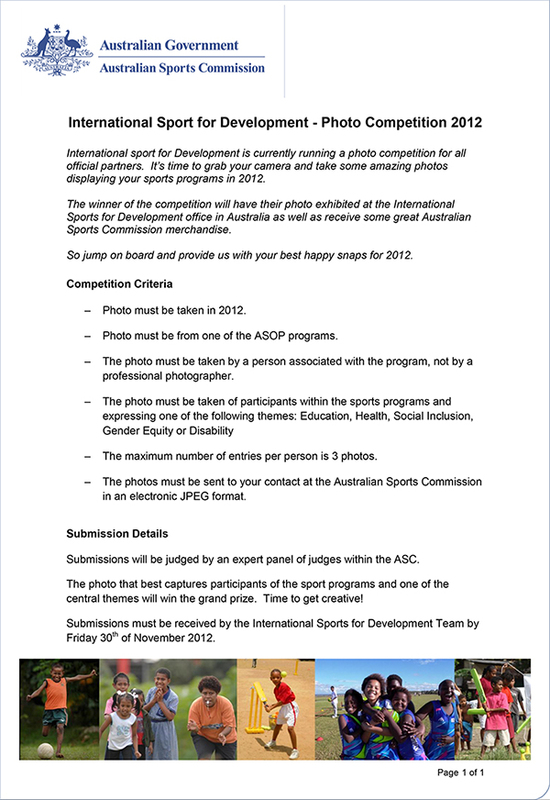 Copyright The International Award for Young People India 2012. All Rights Reserved. This e-mail and its attachments (if any) are confidential and intended solely for the addressee, and may be privileged or exempt from disclosure under applicable law. If you are not the addressee, or have received this e-mail in error, please notify the sender immediately, delete it from your system and do not copy, disclose or otherwise act upon any part of this e-mail or its attachments. IAYP India does not accept any liability for any losses from infected email transmissions, attachments with viruses or other defects. Contact the Communications Team with updates, photos, feedback and more. Jodhamal Public School has become the first YES Centre of IAYP in Jammu & Kashmir. Mr. Kapil Bhalla, National Director, IAYP visited the Jodhamal Public School on 4th August 2012 and handed over the National Operators License to Mr. Trilok Singh Bist, Principal, Jodhamal Public School during the Award Orientation Programme on 4 th August. Mr. Kapil Bhalla, National Director, IAYP, India and Mr. Bivujit Mukhoty, Programme Manager were the guests of honour at the Award Orientation programme in J&K, held at Jodhamal Public School and in Jammu and proved to be a thumping success. The IAYP programme – an offshoot of the Duke of Edinburg’s Awards for the promotion and provision of Skills and Confidence was the initiative of Mr. Trilok Singh Bist, Principal, Jodhamal Public School for its northernmost frontier in India. The award is based on the concept of individual challenge in which young adolescents take the responsibility for their own development through voluntary self help activities. The award will go a long way in developing the interpersonal skills and team spirit of participants in a non-competitive, balanced environment and will give an international dimension to the school curriculum. Ms Simran Singh and Ms. Shallu Sharma, the Award leaders from Jodhamal Public School welcomed the 15 schools of Jammu region along with Army school Akhnoor and Nagrota, G.D.Goenka School, Heritage School, J.P.World School, K.C. International School, K.V. Bantlab, M.V. 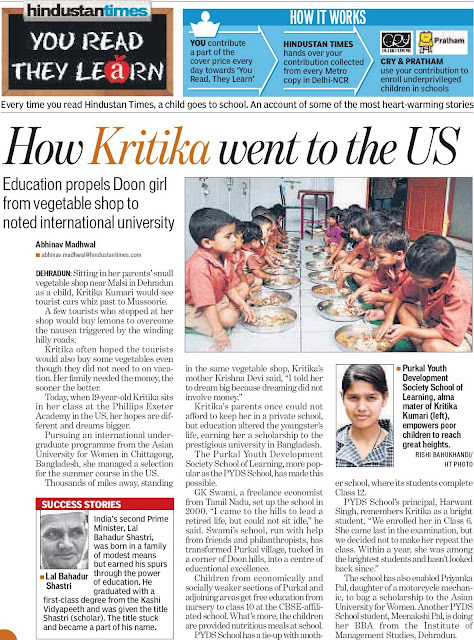 International, Model Academy, SOS Hermann School, Sainik School Nagrota and an NGO students with Ms. Sophia. Jodhamal Public School will be the Youth Engaging Society (YES) centre for Jammu under the aegis of National Award Authority. Mr. Nandan Kuthiala, Trustee Jodhamal Public School presided over the function. Mrs. Arti Kuthiala, Vice-Principal along with Ms. Rohini Aima, teachers from different schools of Jammu and the CCA Coordinators of Jodhamal Public School were also present during the occasion. At the end Head Girl Sankasha Sharma presented the vote of thanks wherein she thanked The National Director IAYP for sparing his valuable time to be with Jodhamal Public School along with Mr. Bivujit Mukhoty. She also thanked all staff & students of different schools for being an active part of the Award Orientation. She also extended her heartfelt gratitude to all Principals of different schools for their cooperation. partnership from like minded people. Opening Women Self Help Group and improving habit of saving and small scale entrepreneurship. Forming Team of Adolescent girls as "Community Ambassadors"
On the occasion of the Platinum Jubilee celebration, Welham Boys’ School sent an Expedition to Draupadi Ka Danda II (5716m),Uttarkashi. The team comprised 18 students and 3 staff members. Draupadi Ka Danda is a holy peak. There is a story behind it. It is said that Draupadi,wife of the Pandava's left her soul on this peak while on the way to Swarga towards Swargarohini(22000 ft). To the east of this peak exist Gangotri-I, II, III & Kedarnath. On the north-west region Swargarohini can be seen from the top of Draupadi-ka-Danda. The Expedition lead by Mr Laxman Singh and Rajat, who is the sports captain of the school was accomplished with the guidance of Nehru Institute of Mountaineering (NIM), which is one of the finest Mountaineering Institutions in the country. The expedition started with the Flag Off ceremony on 25th May, 2012 and culminated on 12th June, 2012. Lt Gen Manvender Singh, Commandant IMA, flagged off the Expedition. In the Flag Off Ceremony Gen. Manvender gave a motivating and enriching speech, which motivated the Expedition team to successfully scale the peak. The expedition lasted for 19 days. The first five days ie from 26th May to 30th May the Expedition team underwent an extensive training programme that included physical exercises, rock climbing, trekking, belaying, rappelling, jumaring, bouldering, artificial vertical wall climbing, snow craft, ice craft and tying of knots. Having completed the training successfully on 30th May, the team trekked to Tela Camp which is situated at 8000ft.It was a steep and arduous climb for 4 hours. 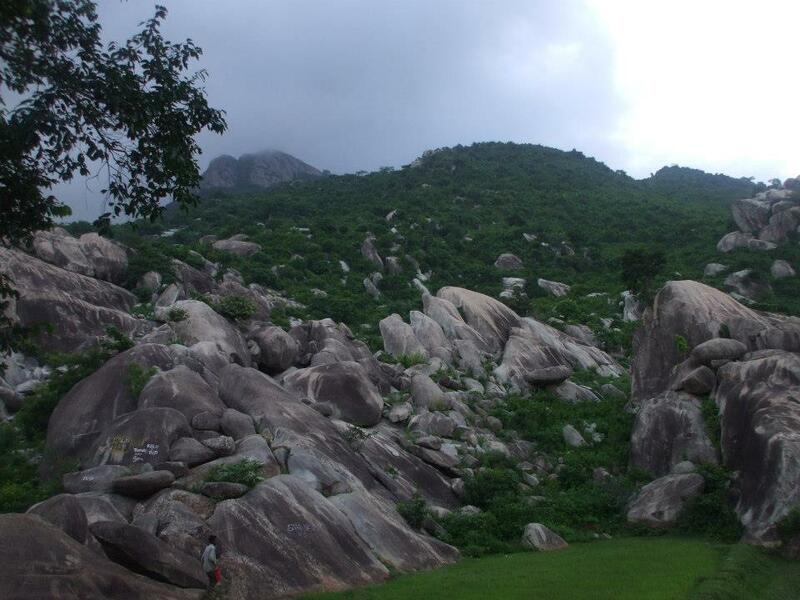 Each member of the team enjoyed this trek immensely. After camping at Tela, we marched off to our next Camp at Gujjar Hut (1100ft) on 1st Jun,2012. It was a wonderful experience because it turned out to be a Herculean task which the team achieved very confidently. On 2nd June, 2012 we moved to our next destination, the base camp at 13000ft. Not very far from Gujjar Hut, it took just an hour to reach the Base Camp. The main aim was for the expedition members to acclimatise, check equipment and practise walking with crampons on their shoes. On 3rd June we set out on our trek to the Advanced Base Camp (14000ft) and returned back to the base camp. It was an exercise of acclimatisation. On 4th June we proceeded for Advanced Base Camp. At ABC, we were trained to pitch tents on the Glacier, Glacier walk, Snow craft, Ice Craft etc. We were also briefed about the dangers in the Glaciers and the necessary precautions to be taken. At the camp the weather became bad and there was heavy snow fall for 24 hours. Disappointed, the expedition team decided to stay at the ABC till the weather was clear. We lost one day due to bad weather condition. On 6th June we headed for ice craft, which we enjoyed immensely. On 7th June, after a very difficult and challenging climb full of danger, the team reached Camp-1.On the way they overcame crevasses, avalanches and steep slopes. To add to their predicament, the oxygen level went low, but the confidence level and the teams’ spirit was high. This helped to overcome the challenges and reach Camp-1 safely and successfully. The anticipation was over. D-day arrived. On 8th of June, equipped with all the technical paraphernalia, the team began its final climb at 4:30 am. The climb was steep full of challenges and the weather conditions worsened. Visibility was almost zero. It was snowing heavily and the wind was blowing at a very high speed. It was a tough call to take, should we continue or cancel the attempt. We decided to move on and with the grace of god, despite deteriorating weather conditions, 14 members of the Expedition were able to accomplish the honourable task of completing the expedition. Watching the boys bracing the challenges, including the icy winds and embracing all hardships with a smile was a feat by itself.